Remove the exhaust manifold heat shield. Refer to Exhaust Manifold Heat Shield Replacement. Remove the turbocharger oil feed pipe bolt (5). 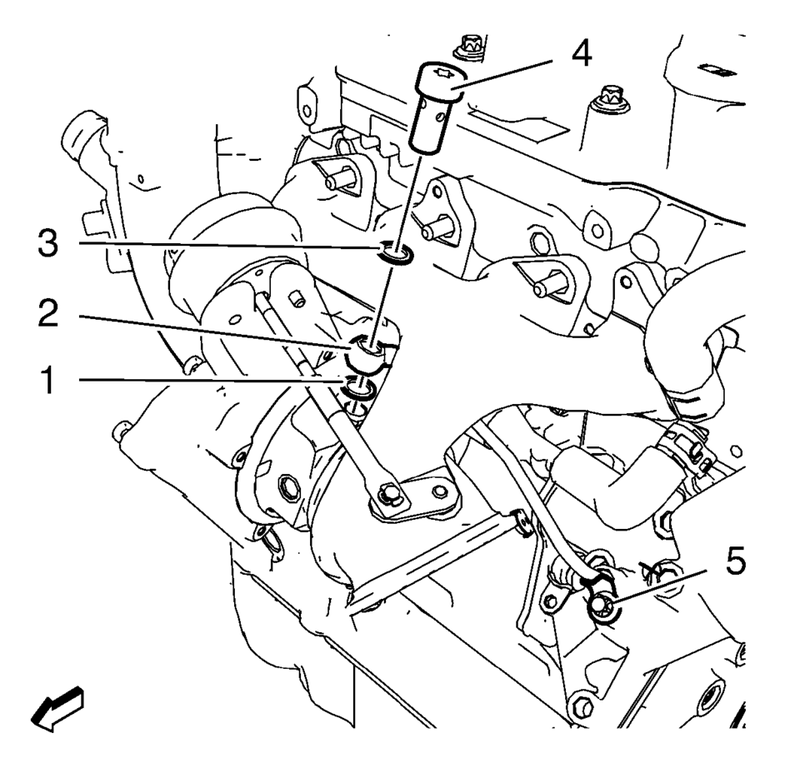 Remove the turbocharger oil feed pipe hollow screw (4) and the 2 seal rings (1) and (3). Install the turbocharger oil feed pipe (2) along with a NEW rubber seal ring. Install the turbocharger oil feed pipe hollow screw (4) and 2 NEW seal rings (1) and (3). Install the exhaust manifold heat shield. Refer to Exhaust Manifold Heat Shield Replacement.